We’re Jo and Jon, an English couple who have turned our lives upside down. We’ve quit our jobs, sold our home, got rid of all of our stuff and are doing a bit of what the young people call travelling. We aren’t particularly adventurous and don’t make decisions rashly but really felt that we had got a point in our lives where we needed to take a new path and shake things up a bit. Now there are lots of people who decide to travel the world and have gap years and most of them write brilliant stories and blogs about their adventures. There isn’t anything special about us except perhaps that we are a little older than most being in our mid 50s. This isn’t a story of feeling unfulfilled or dissatisfied with what we’ve got or of having a wasted life, in fact it’s the complete opposite. We have done everything we’ve ever wanted to do and been very happy and fulfilled ever since we first met 37 years ago. I, Jon, was in the Royal Air Force for 6 years and we had a fantastic life serving at RAF Northolt in Middlesex, RAF Marham in Norfolk and RAF Laarbruch in Germany. We had six amazing years socialising and travelling and just making the most of every opportunity that we were presented with. The time in Germany was particularly good as we visited so many places in Europe and probably caught the travelling bug then. Back in the UK we lived in Nottingham and Leicester before settling in Maidstone Kent where we had our most incredible adventures bringing up our three wonderful boys. I won’t go on about it too much but being parents has been the greatest thing in both of our lives and continues to be. Our boys are everything to us. So we were in a situation where our boys had left home and started their own lives, and we were back to being newly-weds (almost). We felt that we had a decision to make. Either sit back and enjoy the slow drift towards retirement with more money and time to relax, or get up and take a different path. There is nothing wrong with relaxing after years of hard work and enjoying the better things in life but it just wasn’t for us. So we decided to take that first step …………………………. We left England with just a suitcase each and a backpack at the end of May 2015 and flew out to Holland to start our little adventure. We’d decided to spend a few months in Europe quietly adjusting to our new life before heading out to the other side of the world in September. So a month living with Airbnb hosts in Holland, Germany and Austria followed by a few days back in the UK then off to Australia. We then had 3 months in Australia and another 3 months in New Zealand before returning via Singapore to England in the middle of March 2016. A few days visiting friends and family and catching up seemed to flash past quickly and we found ourselves back at London Gatwick airport ready to fly off again. This time it was west to the United States and Canada. We then enjoyed 3 months wandering around the USA before spending another 5 months travelling across Canada until we returned to the UK in December 2016. Canada was absolutely brilliant and the US was equally great. We loved San Francisco, Boston and especially Chicago but our time in Vancouver, Victoria and Whistler was fantastic. The whole trip across both countries was immense and we’ll never forget it. We had a change of pace and direction in 2017 when we decided to try housesitting and registered on the TrustedHouseSitters site to see how it went. We planned to try a few sits around the UK and also do a few working stays as there are so many places that we still haven’t seen at home. Well it was a massive success. We spent the whole year housesitting and working all over England, Scotland and Ireland and thoroughly loved the lifestyle. Last year, 2018, was even more exciting as we completed an incredible three month adventure in New Zealand. It was our second big trip there so we must like it a bit I guess. Then 6 months working in Italy and then Scotland on Helpx stays before a few more housesits in England until the end of the year. Throw in our backpacking trip through Germany, Holland and Norway plus a December visit to Krakow and it was a wonderful year. Oh, and because we keep being asked if we’re travelling and we really don’t like the expression we’ve decided that we are ‘Land Sailing’ instead. We are carefully drifting around the world at our own speed doing our own thing. Please say hi in a comment if you have a moment as we love linking up with people, especially other travellers. Only takes a second or two and it would make two old JWalkers, or LandSailors, very happy. This is so cool! Best of luck to you as you travel. May you find adventures everywhere! Thanks Joan. Each day seems to bring something new and unexpected, life is just one great big adventure at the moment. Brilliant – I spent nine months in NZ a few years ago and LOVED it. It really was the time of my life. Nine months? Great. Any advice on places we must go or things we can’t possibly miss? Abel Tasman, kayaking. Wonderful. Kaikoura, swimming with dolphins. I really liked my trip to Stewart Island where I went Kiwi spotting. I also learned to dive in the Poor Knights. Ahhh so many places! The Coromandel peninsula…. The far north….. So many places to see eh Clara? We have 12 weeks booked so hope to get around a lot and see many of the things you mentioned. Love to kayak though, didn’t think of doing that. Thanks Reena. We’re just taking it day by day but so far we’re loving every single moment. This is so cool, I am sure there are thousands of people (like me) who are wishing they had the guts to do what you’re doing, just a bit too caught up in our security anxieties. All the best for your ongoing travels! Great blog. Hi guys! I think what we just done is amazing. As you travel you learn so many different experiences. Oh I hope you enjoy every minute of it. One day I wish I would do just the same. Thanks Seb. Appreciate the kind comments. So far we are having the best time and enjoying every day more and more. What a brilliant decision! I’m going to read more of this when I’ve a little more time! Good luck with it all! Thanks Mick. So far so good, we’re still loving every day. Currently in Sydney. You made the right decision. You don’t want to be on your death bed, wishing you had traveled when you were still able to do so. Incidentally, I’ve added you to my blog roll; I’ve been very selective about that, and you’re only the second one. BTW, I’m also in my mid 50s. Thanks, appreciate the supportive comments. We’re having the most incredible time so far and enjoying every moment. So far so good. You rock! I share your passion for travel; been doing a bit since I was in my late 20s — nearly 30 years on and still enjoying it. I look forward to reading more of your blog. Thanks so much for the nice comment. We’re still loving every single moment. Just found your blog. All sounds very exciting. Thanks Sue. How did you find it exactly, down the back of the sofa maybe? Thanks Cristina. Tough decision to take initially but probably the best one we’ve ever taken in our lives. So far so good. Thanks for the like! stay tuned for the other parts of my Napoli trip! This seems great, I always hoped I could do something similar, i hope you enjoy your time in each place! Thanks, so far it’s going pretty well. We just take each day as it comes. Trying to see the world through a new lens I guess. I absolutely love hearing stories like this. And what a small world! I was living in Nottingham for ten years before deciding to pack up my life and leave a year ago! Where abouts did you live? Hi, we were in Maidstone Kent for twenty years before making the big decision to go. Best thing we could have done and so far enjoying every moment. So where are you currently? Great – well done. 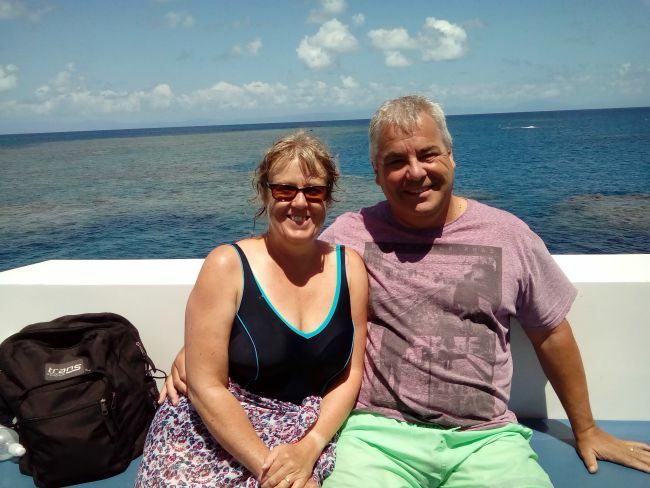 We are the same – older travellers – except we start young and just couldn’t stop! Way to go! I guess we’re the proof that age has nothing to do with it then? Its how you feel that counts. Hopefully we’ll be able to keep going for a while too. Hey Rich. Let me think about whether I miss Magnolia or not, give me a minute. Did you go over to the UK to do the training or do it remotely? How was it? Our little trip is going pretty well so far thanks, just getting started really. Lol… Yes, I got to go to the UK. My first time ever. People are so friendly there! I really enjoyed it. Currently I’m doing a US and Europe Magnolia Workshop tour for our new version. It’s great to get out and meet the users and build that relationship. Well good luck on your travels. I’ll check in ever now and then and see how it’s going. Cheers! Hi Jo and Jon, I’m so happy to have stumbled across your blog. I think it’s fantastic that you’re embracing life and enjoying travelling the world. I feel very much an affinity with you as myself and my husband (both 50) are like minded travellers and lovers of life. Although we’d like to be travelling more often we get out and camp when we can. And the Prom is one of our favourite places!! Look forward to reading more of your fantastic blog. Safe travels! Thanks for the kind words Miriam, we’re having a pretty good time so far. Australia was amazing and we’re hoping for much the same in NZ. Lucky you. I haven’t been to NZ but it looks and sounds beautiful. Enjoy. Wish you goo luck , have fun!! Hi to both of you…I love reading about your back story – very inspirational and a breath of fresh air regarding reasons and your desires to see the world. Glad we’ve hooked up on twitter and I’m looking forward to hearing about your next leg of the journey – just a few days away now? Thanks for that Casper, so far really enjoying this next stage of our little JWalking trip. Thanks Helen, so far so good. Just trying to live each day at a time and enjoy life. Thanks Anita, really appreciate your kind words. We’re enjoying land sailing so much still and just hope people are enjoying reading our posts as we go. Not always easy to know if you are writing interesting content or not. You’re so right, the more you write the better you get. Practice makes perfect as they say. I’d love to meet some fellow travel bloggers, be great to share stories and ideas. I’d still like to expand my follower numbers but not too sure how to do it. I guess social media is the way to go. Never met up with any other travel bloggers unfortunately, would love to though. It would be great to swap stories over a drink or two. How lovely. The term “land sailing” evokes wonderful imagery. Enjoy! Thanks Kit. We think it describes what we’re up to fairly well. Thank you for following my blog. Your blog is great, lots of interesting and amusing photos and stories. I look forward to reading more about your travels. Thanks so much for the kind comments, we’re still enjoying writing the blog and it’s great that people enjoy reading it. Thanks Farrah. So far so good, in Canada until December so still a long way to go. This so neat! You all look like you’re having an awesome time 🙂 I wish you all safe travels and much happiness! Well done for living your life the way you want to. 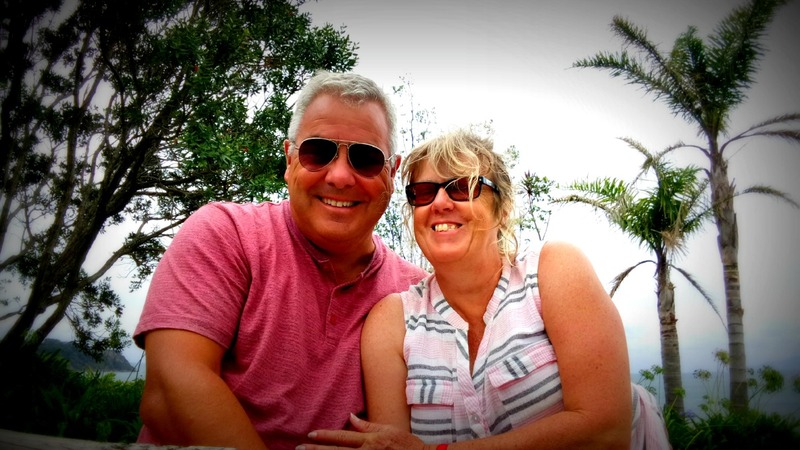 We’re the opposite, having spent most of our 40 years of marriage moving around Ireland, with kids in tow, and an eight year stint in Spain, we are now ready to settle down and retire to a little town, live in a tiny house, and chill out on a small boat. But our children don’t believe us – can’t blame them! Thanks Richard. Sounds like you had quite an adventure, three years is a long time. When do you plan to start again? Thanks so much, we do our best and just try and make them all a bit interesting. You never really know though. So cool what you’ve done/are doing! Here’s to really living life! Thanks Alison, we’re loving life at the moment and trying to make the most of every single day. Inspirational. I look forward to reading your blog and following your travels. We plan to do something very similar to what you are doing. We are waiting for the right time – although we all know there is never a right time. So I guess we are actually waiting on God to set us free – into our next adventure. It’s scary to even think about – but exciting. Thanks so much Suz. I agree that there isn’t really a right time to go, you just need to bite the bullet and go. Exciting and terrifying in equal amounts. Hi Jon and Jo, I have noticed your comments on different blogs several times, but it’s today that I’ve made your acquaintance. I’m pleased I have. A quick look through your introduction, and I just know I’m going to enjoy retracing your passed land sails, and keeping up with your present trips. Thanks so much Chris. We’ve been around for a while but don’t really push our blog as much as perhaps we should. Too busy living I suppose. Thanks for following. Hi, I am glad to find your blog. I did the same thing like yours in the 2010. Isn’t it great to have a freedom and just enjoy each day exploration? I will check your blog more. cheers from another kiwi live in Copenhagen Denmark. Thanks Freja. Sounds like you’ve been enjoying the nomadic life for a lot longer than us. Copenhagen must be a lovely place to live? Thanks, it really is a great way to live and we do try and slow travel as much as possible. Lovely to hear from you Jacqueline, would love to meet up with you guys again. Are you both planning on giving up work then to travel a bit? I am on Trusted House sitters as well . Signed on about a year and half ago. At first I did 4 house sits in Washington and Oregon. Then I went on to San Miguel De Allende , Mexico where I had picked up a house sit by word of mouth. Right now I have been house sitting for the last 4 months in my hometown area which is Lake Tahoe and Truckee, CA. Why ? I have become very popular here as a house sitter and I get paid here to house sit and it is a great place to be for the summer. Also, its hard to give up the money while on a very limited budget. My dreams when signing up on THS were to travel abroad and I am still aiming to do that next spring. As of now I am booked up with house sits all the way thru April. Here in Tahoe, on the CA. coast, Santa Fe , New Mexico and then back to SMA , Mexico . All are ones I have gotten on my own. Just the one in Santa Fe was from Mind my house . I really want to venture out of the country more. Just has been hard to take that plunge. I am in my mid 60’s. Gave up my apartment a year ago last June so am vagabonding like you two. Love it so far ! Wow sounds like you have really got into housesitting Sue. It’s certainly changed your life hasn’t it? We’ve had similar experiences I think where all of our initial sits were through THS but now we get a lot of personal referrals and old housesitting hosts just emailing us direct. Nice to feel wanted and know you’re doing a good job isn’t it? Yes, good to get the repeats and referrals. What a happy story yours is. The tone appeals to me as much as the story itself: You come across as contented, which is in tune with your “land sailing” term. May you sail in calm waters, but not too calm. Thanks so much Rachel, so kind of you to say such nice words. We are very contented and still thoroughly loving our little land sailing adventure. Thanks Sam, so nice to connect with you. Hope you enjoy the blog. So happy to find your blog and to read your story of life and adventure. We have much in common! We have 4 sons and we left the US once the youngest finished high school to start a nomadic lifestyle of what we call “ sequential living”. I invite you to check out our blog too …www.greenglobaltrek.com. 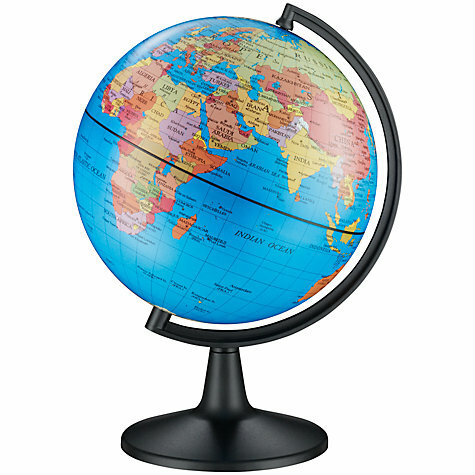 Our current home base is Sri Lanka! I like that, ‘sequential living’, very descriptive. Sri Lanka sounds interesting, are you there travelling for a long time? Hi! What an inspiring story. I love how you decided to travel after the kids left the house. Hope you don’t mind if I read along! We’d love you to read along, it’s great to get some nice feedback. Hope you enjoy a few of the posts. Thanks so much Sam, we’re just doing our thing. Love to know what you think about the blog. Thanks again. We actually take it in turns to write posts so I do one then Jo does the next etc. Hopefully brings a different aspect to each post. This is inspiring brilliant!!! Gutted I’ve missed the first few years but will catch up pretty quick. Look forward to reading your stuff on New Zealand. I absolutely loved it there as well. Thanks Mark, we’re just out here doing our thing in slow time. New Zealand is undoubtedly our favourite place so far. Guys you are both so inspiring! I love that you have decided to embrace travel and just go for it, and what an adventure you have had so far! What are the plans for 2019? Cannot wait to hear more! The mobile lifestyle can be addictive and we still enjoy it. Love your diverse travel modes. Thanks Ingrid, we’re still enjoying every day of it. Where are you currently? We are currently in Phoenix, AZ. We’ve slowed our travels down a bit but we’ll have the wheels rolling a lot this summer. How long have you been travelling for or do you have a base? Wow so serious long time travellers then? Sounds like a wonderful life.